Magen David Sephardic Congregation offers a variety of outstanding educational opportunities for members of all ages. Regardless of their level of religious knowledge, participants in these thought-provoking events emerge with greater appreciation for the Torah and Judaism. Programs that draw inspiration from modern history, societal interaction, and current events are part of the study plan. 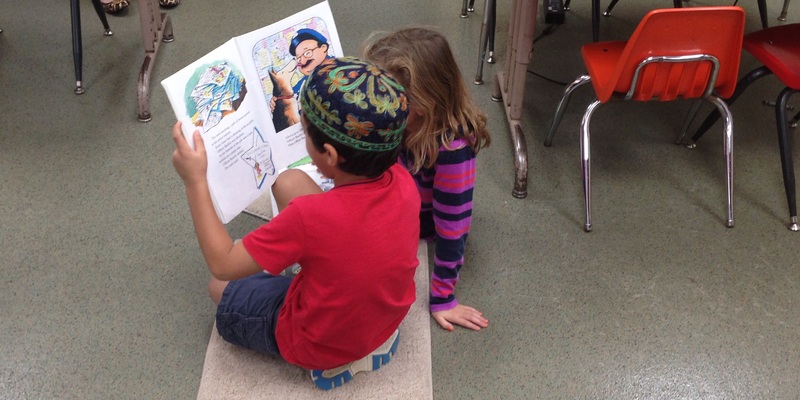 Jewish learning for children is a priority for us. Children from toddlers to pre-teens take brief part in our Shabbat morning services following the Torah reading, and they accompany the Torah on its journey from the readers' desk to its home in the aron. Children's programming is targeted to having fun while learning both Hebrew language skills and Sephardic customs and traditions. The focus of adult education is on information sharing and on lively presentations that will help participants grow as individuals while exploring their Sephardic heritage and serving the broader community. You can learn more about each of our study areas by visiting the links below. Be sure to check our calendar for an updated schedule of study classes, lectures and special events taking place at Magen David.